Three years ago I went to work on what I considered a normal day. I had no idea that this shift at work would change my life. At the time I was a bartender at Texas Roadhouse in Hickory, N.C. We were doing Just One Shift for Wine to Water. Before my shift I looked up their story and what their mission was and loved it. Then Doc Hendley sat at the bar during my whole shift and told me his story. I could relate to him so completely, since I'm a currently bartender looking for a greater purpose. I told him that I would some day like to go on a volunteer trip with his organization, but never honestly thought I would be able. Then, two years after I made that statement, God opened a door for me. I made a simple comment on an Instagram post from Wine to Water saying again that I would like to go on a trip if my finances would ever allow it. Less than an hour later I got a reply from Lisa Merritt, the Volunteer Director, saying that someone had just offered to cover 100% of my trip! I was standing in line at Walmart and immediately burst into tears not caring that everyone thought I was crazy! It was eight months before I could commit to a trip, but I finally departed to Nepal in August of 2016. At this point, I was still unaware of the impact this week would have on my life. When I got there I was still very nervous. I didn't know a single person on this trip with me and I'm not the most outgoing person in the world. But God sent me on the right trip with the right people. Immediately, I was welcomed into the volunteer group. We grew as close as a family. 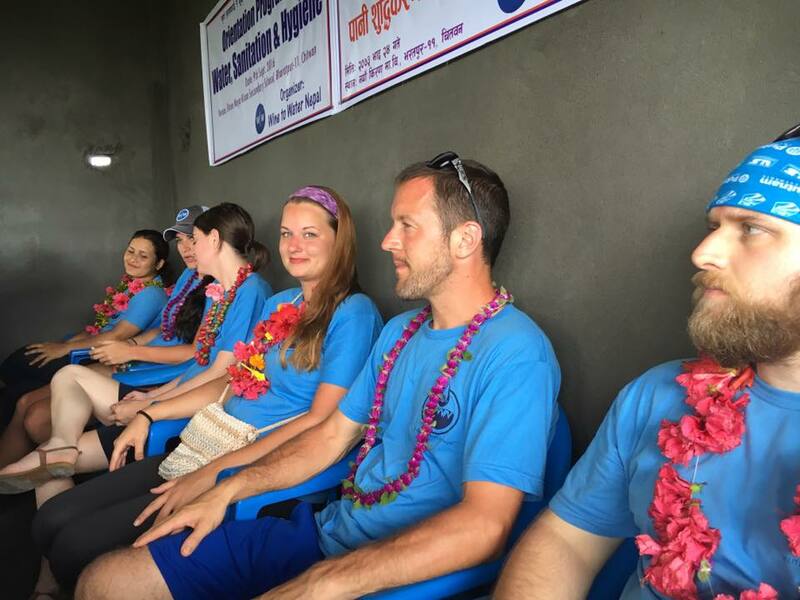 After one night in the capital city of Kathmandu, we left for Chitwan. I woke up still not sure what to expect as we went to our first village to start the well. The second we walked into the village we were welcomed with grateful smiles and so much excitement it was contagious! It is indescribable that feeling that washes over you at the end of a long hard day when you see that first drop of water come from a hand-dug well. Over the following week I was touched in so many ways by the things I was blessed to be a part of and witness first hand. 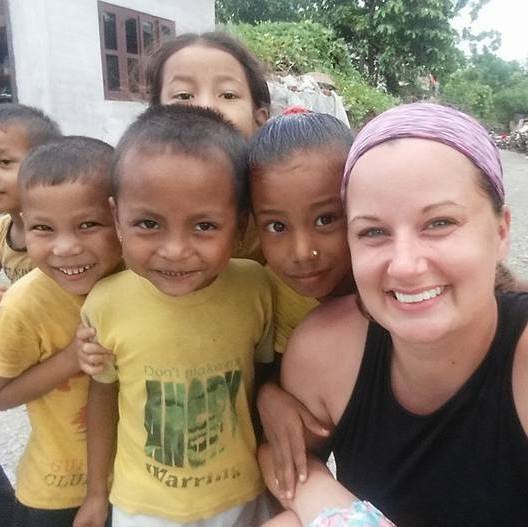 I fell in love with the locals, especially the children. It was so inspiring to see a place that has so little in the way of resources and things of monetary value; yet so rich in the things that matter, like community and pure happiness and gratitude for life. It changed the entire way I view the world and the impression that I wish to leave on it. Being home, my mindset has changed so much. The first thing I came home to was my water bill sitting on my kitchen counter. I immediately dreaded opening it. More than 3,500 gallons of water were used at my home during the month of August. I sank to the floor and couldn't stop myself from adding up how much time and work that would take for someone in the villages of Chitwan, Nepal. I hope to take this new mindset and strive to make a difference not only in the world but in my own personal life as well. 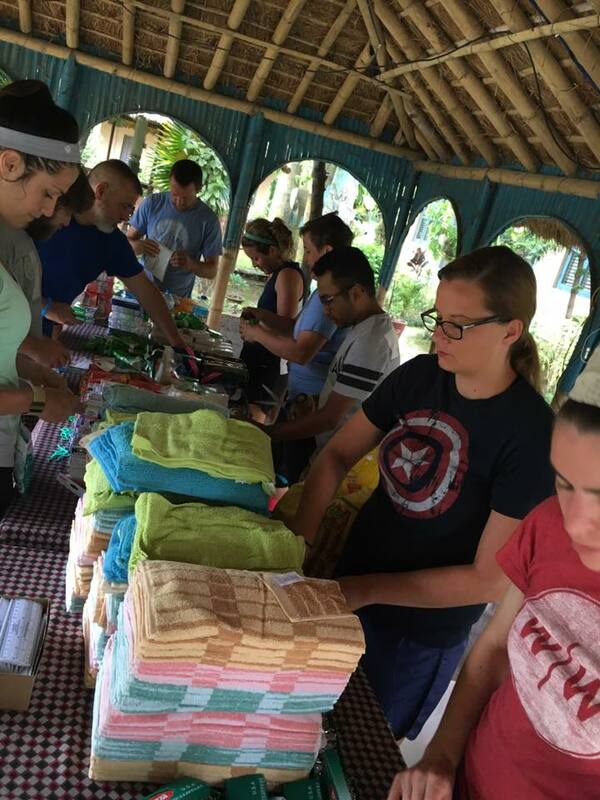 I would greatly recommend that anyone go on a service trip with Wine to Water and let it change your life! A huge thank you for the sweet lady that didn't know me at all, yet still was willing to sponsor the cost of my trip so I could experience the same change that she had before. I will forever be grateful and will someday pay it forward!